Samples received. All opinions are my own. Being a mom has so many ups and downs, some days you can have a “perfect day”, no fighting between the kids, no unexpected mishaps, being a mom is just perfect. Then there are days where reality sets in and some days are just tough to get through. These are the days that you need a little break, the times that you cherish when a stranger gives you a little word of encouragement to how well of a job you are doing at being a mom. 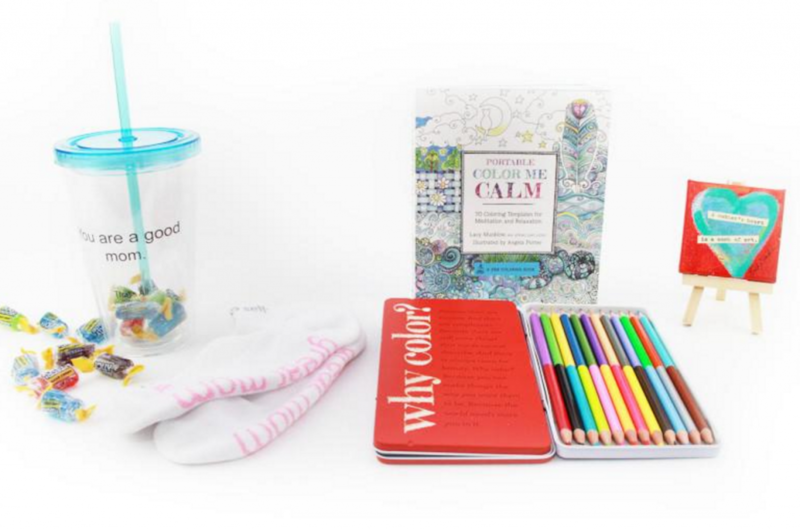 Upsidedown Gifts has a selection of care packages to pick from that gives your the tools you need to send out a little something to someone that might be sick, struggling, or just needing a pick me up. Gifts you can give to women, men, caregivers, children/teens, to newborn care packages. I was sent the “Mom’s gift of the week” package that included 4 gifts. Week 1 gift includes a gift of support. 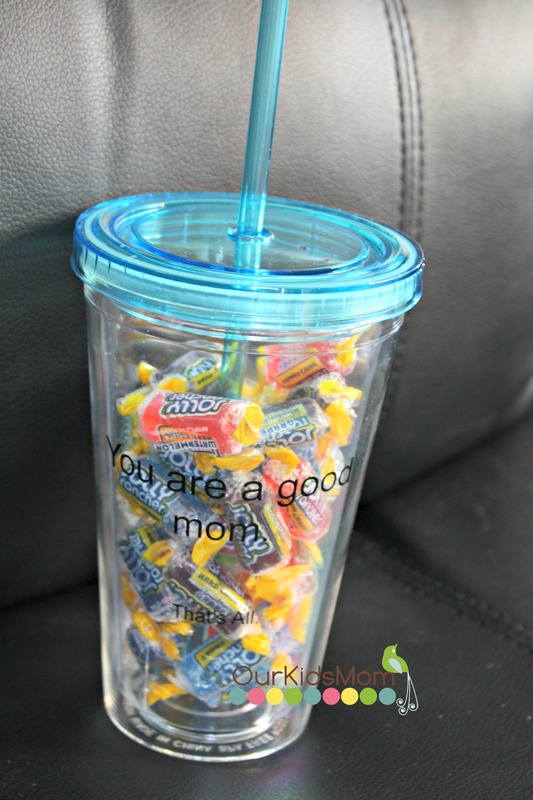 A tumbler with the words that are just that simple, “You are a good mom. That’s All.” filled with Jolly Ranchers. This one I love because sometimes a little encouragement can be just that simple as a few words, yet mean so much. Attached to this gift is a blank card, so you can write your own little words of encouragement to a mom that needs a little pick me up, or just a reminder that she is doing a great job. Week 2 gift includes a gift of encouragement. A pair of cozy white inspirational socks, that say on the bottoms and tops “I am a great mom.” Once again so few words, yet so powerful. When sitting around with your feet up for 1 day you have no choice but to read and be reminded that “I am a great mom”. The card message that is included with gift says “Another little something for you – to keep you warm and cozy! Thinking of you, (name). Week 4 gift is a gift to give courage. 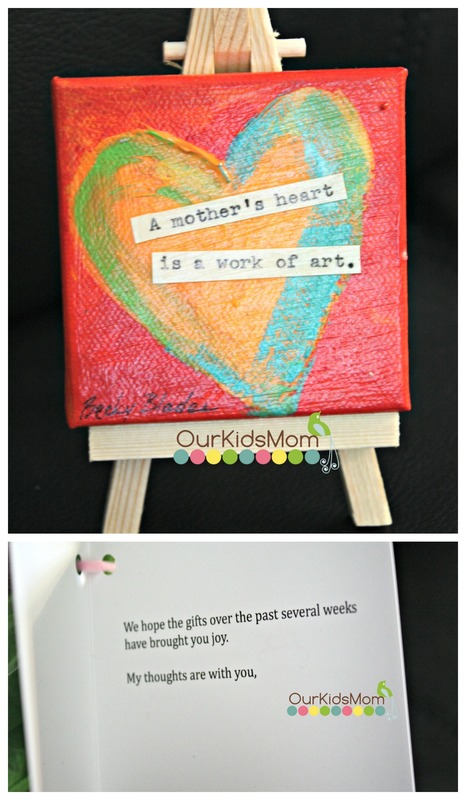 A cute little piece of original artwork by Becky Blades, a heart with the message “A Mother’s Heart is a Work of Art”. What a great way to start your day then to have this little reminder by you bedside or even on your desk at work. All moms need to be reminded such simple words of encouragement each day to give us that extra strength to make it through the rough days. The message on the final card reads “We hope the gifts over the past several weeks have brought you joy. My thoughts are with you, (name)”. What mother doesn’t like to hear “Your a great mom”, “You are doing a great job”, “Stick to your guns, it will be worth it”, and so many more words that can be said? As a mom myself I have an amazing circle of mom friends around me that without them I honestly don’t know how I would make it through some days with my 3 kids. I absolutely love my kids to bits, they are my world, but some days are a struggle to remember that I am a good mom and I am doing only what’s best for my kids. I encourage each of you to take the time to encourage another mom, dad, caregiver, child or teen, and give them that extra strength to get through their days that they may be struggling with. A simple act of kindness may mean the world to someone else. Head over to www.upsidedowngifts.com and pick out that perfect gift for someone you know. 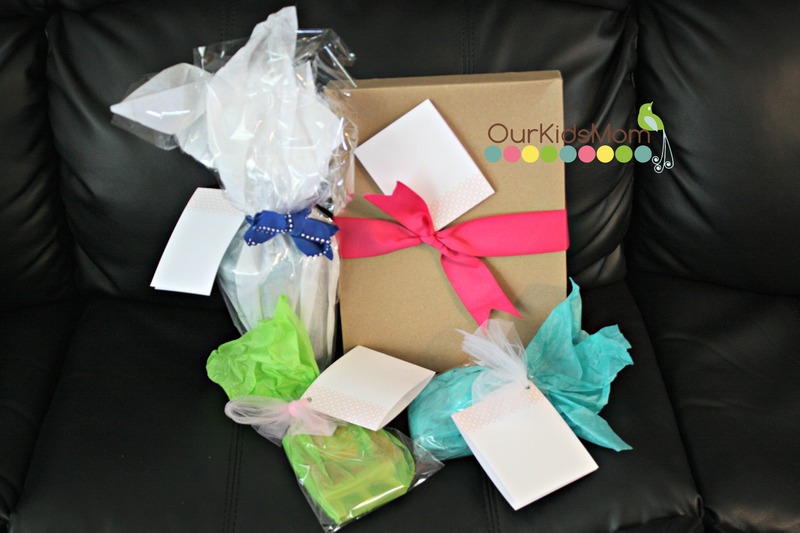 ONE OurKidsMom reader is going to win Mom’s Gift of the Week like I received! Week 4: Give courage – Bedside heart original artwork with the message “A Mother’s Heart is a Work of Art” by Becky Blades. This giveaway ends at 11:59 PM EST on July 24, 2017. Lindsay is a mom of 3, Karson (5) McKenna (3) and Mason (3 months). She lives in Canada and works at a local daycare. Currently on maternity leave for a year she is loving being a stay at home mom. 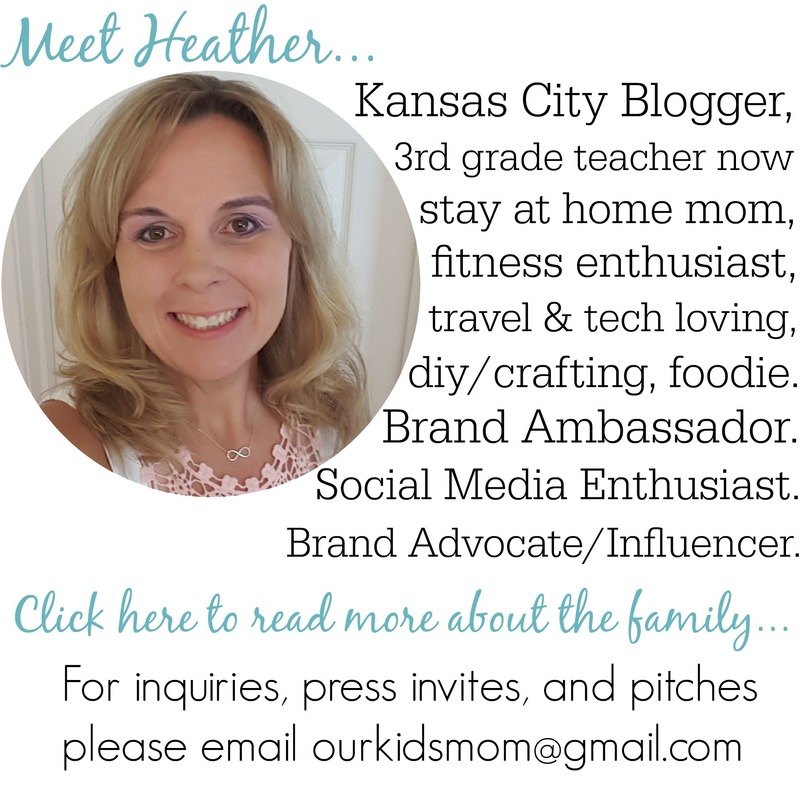 She has been cloth diapering her children and has fallen in love with this adventure, always open to trying new diapers, and other products as well. She would love to show you that cloth diapering is not all that scary as you may think. Be sure to check out all posts by Lindsay and subscribe via RSS or EMAIL so you don't miss a thing! I like the bravery at any size. The care kidders pack is perfect for my camp kids! I like the “you got this” set. I love the shining star necklace! I learned they have a Humor heals for her box that would be wonderful for my daughter in law with my son being deployed. She would love the whack it doll that is in it. I learned that Upside Down Gifts is part of Care Center Gifts, LLC, a family business in Kansas City, Missouri. I like the Comfort for Caregiver gift. Would like to give the STRENGTH AND COURAGE FOR GIRLS to my daughter. I liked the Caregiver TLC package. I would give it to my daughter. I really love all of the women’s gifts. My favorite is the Moments of Faith Basket. Everything is so special. 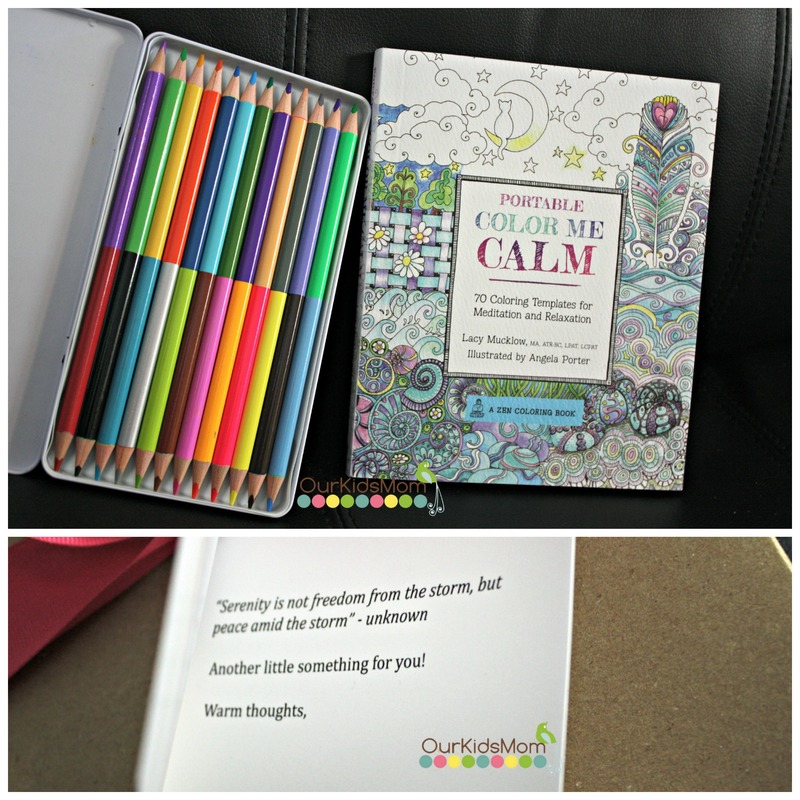 I like the comfort caregiver package…. Like the comfort caregive package. I really like the HUMOR HEALS FOR HER gift set. Thanks. I love the Friends Forever gift. I just love the general concept of a company that sells care packages for people going through tough times. They really must think word search puzzles are comforting, though — they’re in half the boxes. I love the strength and courage gift sets. 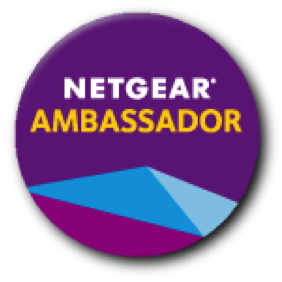 I learned about your site and that care packages for many situations are available to purchase. It is always nice to be appreciated and remembered no matter what the occasion. I like their care packages! I would have loved something like Mommy on Bed Rest when I was on bed rest. There are some great ideas/packages! I like the care packages for the kids and teens! I love their WRAPPED IN LOVE SCARF! I like the You Got This package! I like the you are a good mom best seller. I love that Upside Down Gifts is part of Care Center Gifts, LLC, a family business in Kansas City, Missouri. I support local businesses. I like the moments of faith bundle. I like the COMFORT FOR THE LOVEBIRDS. 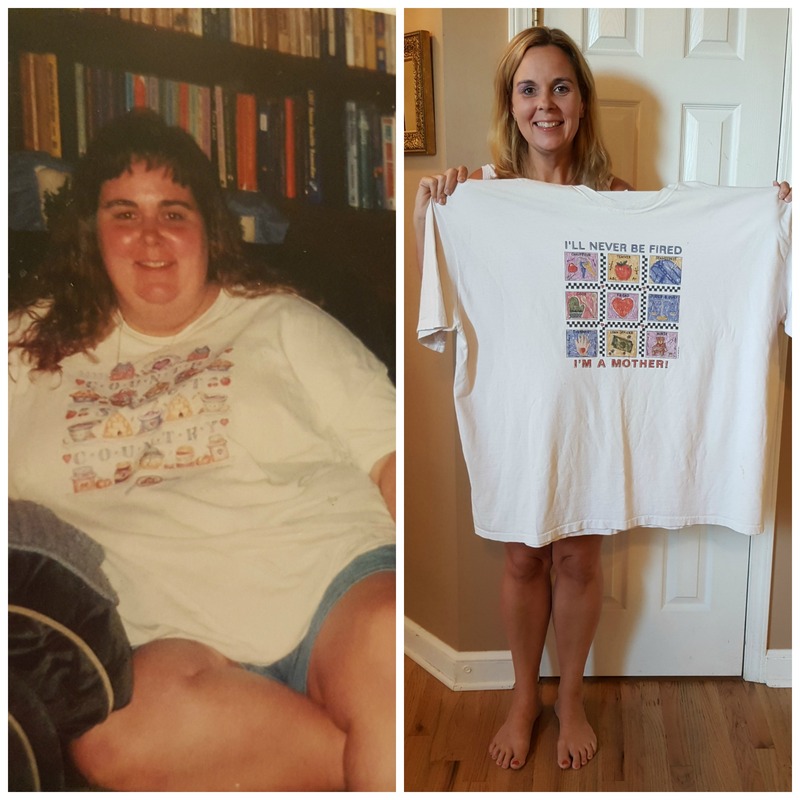 I loved the Women’s Care Packages–great gift ideas! I like the Friend’s Forever gift. i didn’t realize this site had such beautiful gifts. I love the Sparkle Her cups! I like the MOMENTS OF FAITH package! Oh I love the premise of this. That when someone’s life is turned upside-down then they deserve something. Encouragement, cheer, support.